This is a raw variation of a classic Indian delicacy. 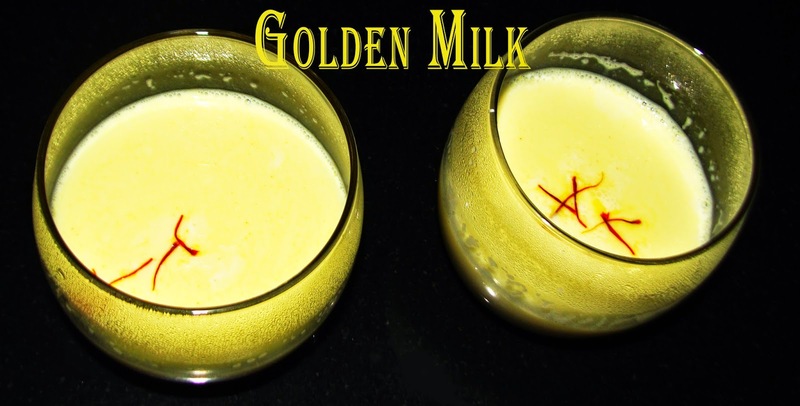 The golden milk is usually made of cow's milk, turmeric powder, black pepper and honey and it is served hot. But my recipe is quite different. So here’s the recipe and I am now obsessed with having it before I go to bed, hope you love this. 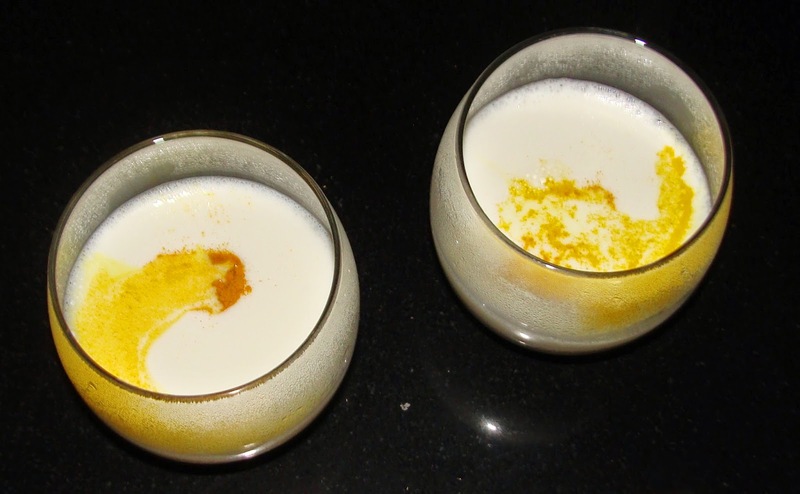 This is my personal modified golden milk recipe . > Pour Warm milk into a clean glass. > Add pinch of turmeric powder and Saffron. Mix it well. you can add honey for Taste. The milk should turn golden. This is nice warming recipe that will help you detoxify your body, boost you metabolism and strengthen your immune system. The main ingredient in this recipe is turmeric. Turmeric contains curcumin, the polyphenol identified as its primary active component and which exhibits over 150 potentially therapeutic activities, which include antioxidant, anti-inflammatory and anti-cancer properties. 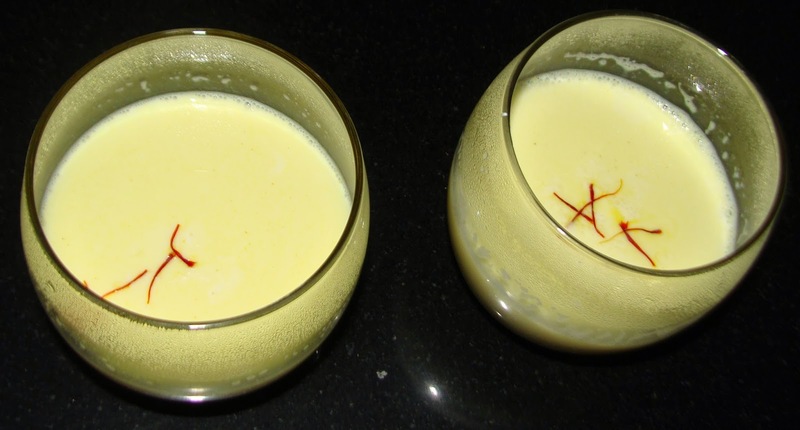 Turmeric Milk is considered as a best remedy for cold and cough due to its antiviral and antibacterial properties. It gives instant relief to sore throat, cough and cold. Turmeric milk is a good source of calcium which is a must to keep the bones healthy and strong. Turmeric milk lowers bone loss and osteoporosis. 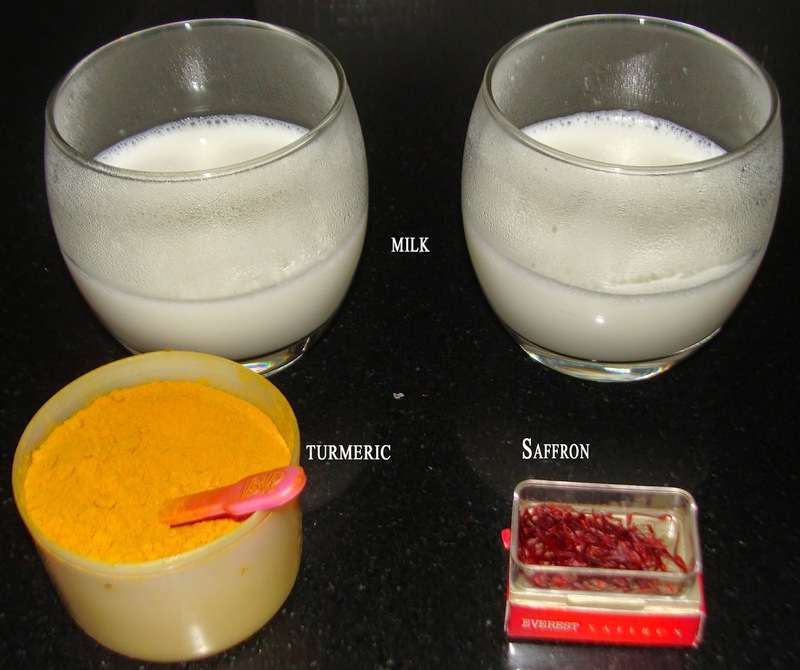 Turmeric milk helps in the breakdown of dietary fat. This can be useful to control weight. Drink a glass of turmeric milk everyday to treat eczema. 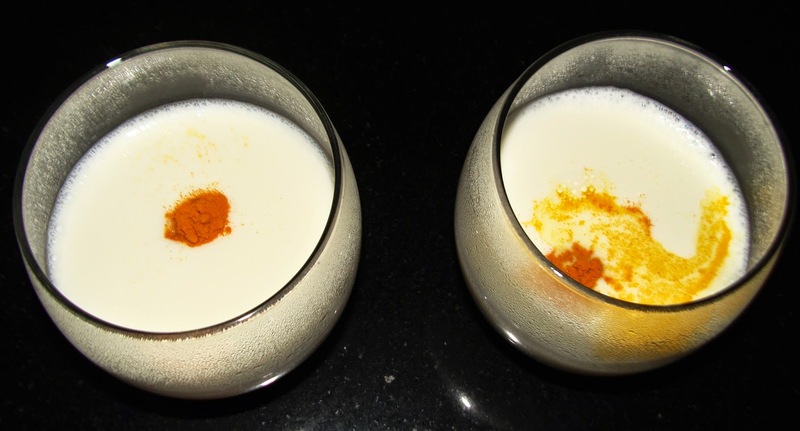 Warm turmeric milk produces an amino acid, tryptophan; that induces peaceful and blissful sleep. So, what are you waiting for? Include these wonderful natural ingredients in your daily diet and reap the numerous health benefits.